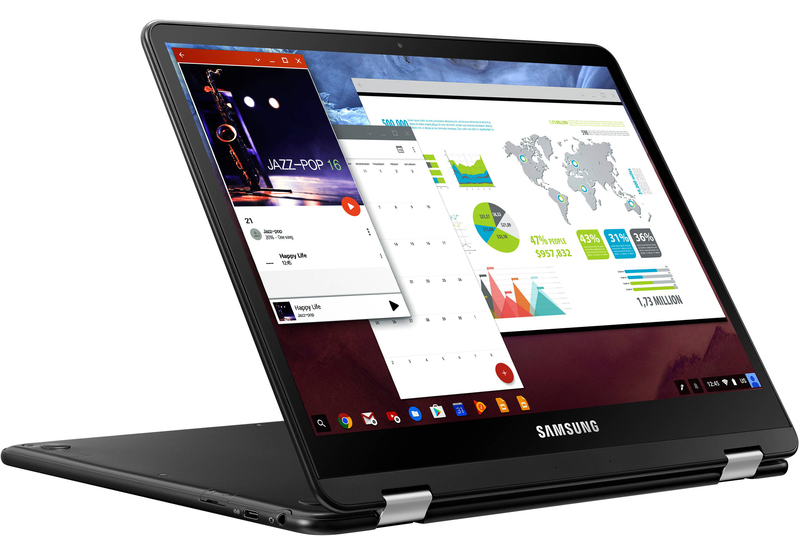 Google and its partners launched a new wave of Chromebooks this year, and one of the most impressive pieces of hardware among the bunch was the Samsung Chromebook Pro. This device is expensive by Chromebook standards at $549, but a little less so today. 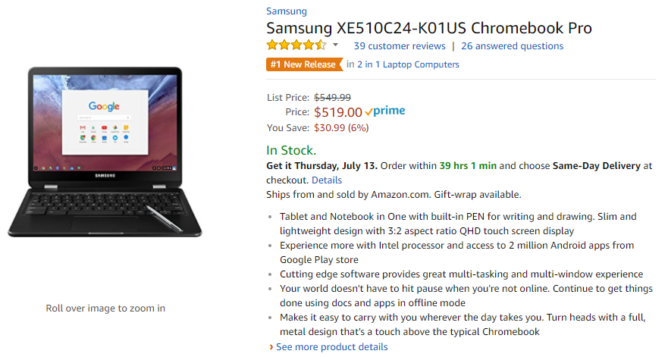 You can pick a Chromebook Pro up for $519 ($30 off). The Chromebook Pro has a 12.3-inch touchscreen at 2400 x 1600 resolution. It can also fold backward, making it more comfortable to use as an all-touch device. Inside is an Intel Core m3, dual-core with a clock speed as high as 2GHz. There's also 4GB of RAM and 32GB of storage. There are only USB Type-C ports on this device, so you'll need some adapters if you've still got older USB devices to plug in (it should come with one). The normal $549 price tag is tough to swallow, but now is the time to jump on it if you've been on the fence. A $30 discount isn't huge, but it's better than nothing. You can get this deal on either Amazon or B&H right now. And yes, it has Android app support out of the box.